Spotted at a 'wet market'. 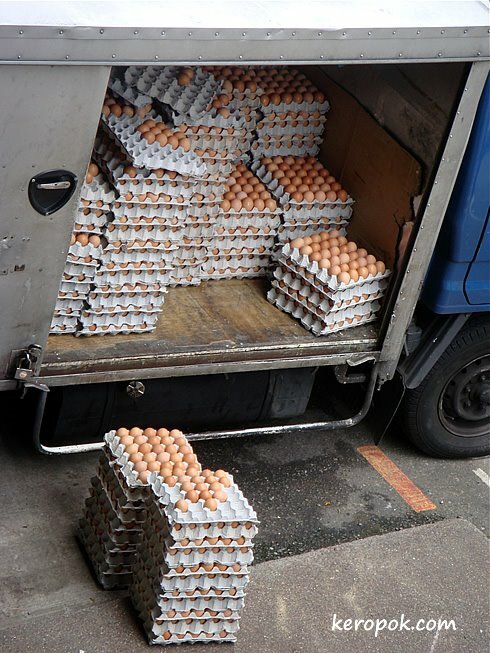 A truck with lots of eggs inside. They are huge too! 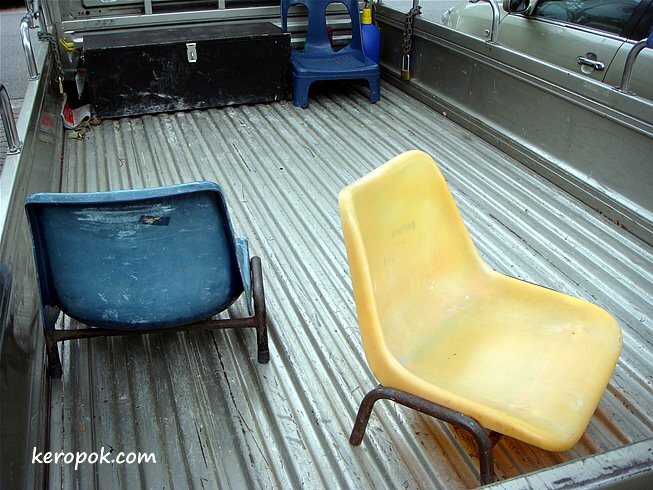 Was told one 'crate' of it cost $4, much cheaper than buying from supermarkets. Fresher too! 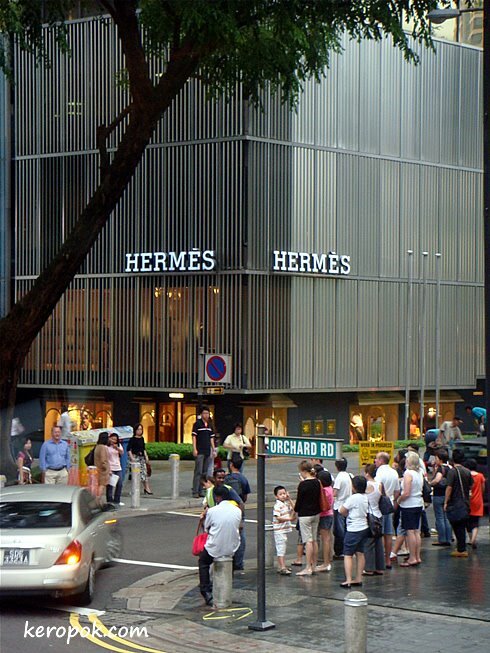 Does the Hermès stores in Singapore has a statue on top of the store? I don't know. I got to get to town to check it out again. This photo I took had the tree blocking it. Why did I ask? Because Hermès in Paris, Sydney, New York City has the statue of a horseman on a horse on the roof top. It's the logo of Hermès. 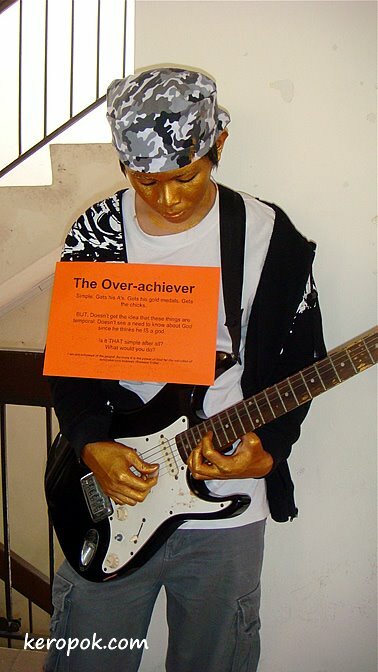 Check out these Daily Photo bloggers sites to view the statue. 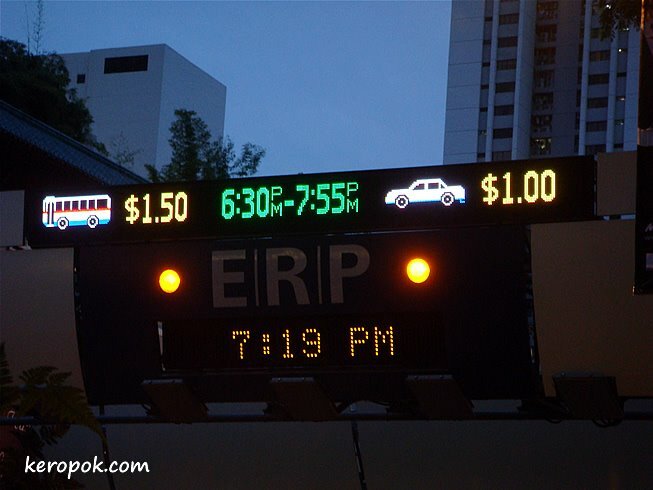 People are complaining about paying more for ERP with the addition of more gantries recently. Did you notice that the ERP gantries seems to have changed recently too. The gantry just tells you if it is in operation. To know the charges, you read it from a separate board. To make things easier, they have merged the two, and this is the new ERP gantry. I think this was started on 7 July. You will also noticed the charges ends at 7:55 pm for this one. The charges changes from 7:55 pm. From 7:55 PM to 8:00 PM, the charges changes to 50 cents. Looks like a 50 cents discount is introduced in the last 5 minutes. 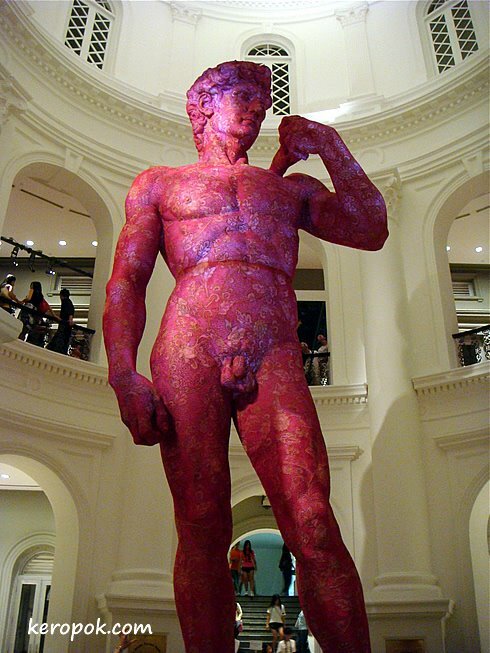 See the famous David like you have never seen him before. 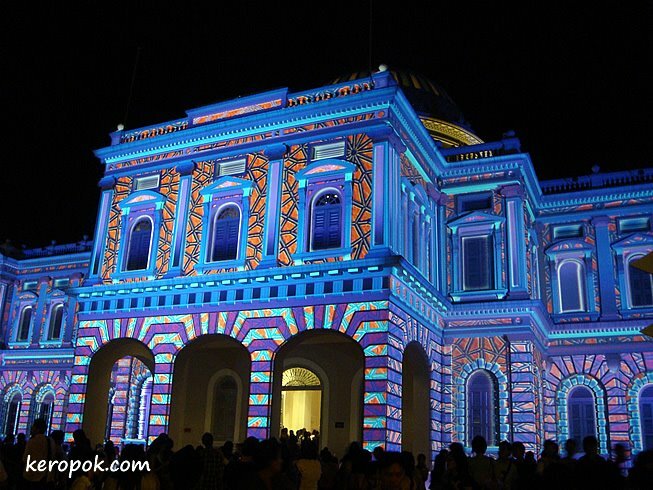 Until 11 August 2008. Free admission. 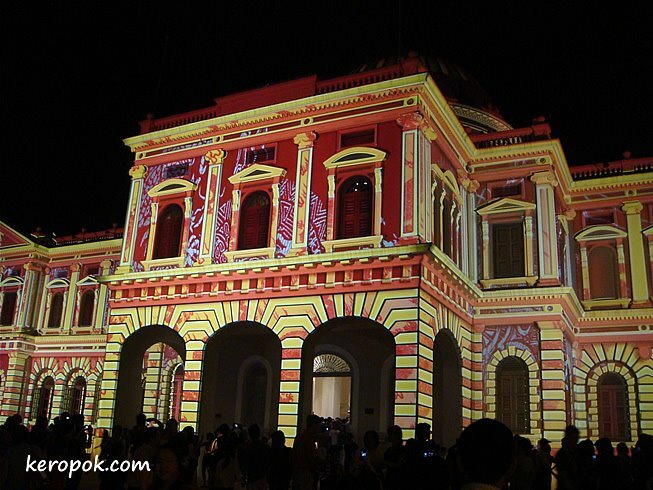 At the National Museum of Singapore. 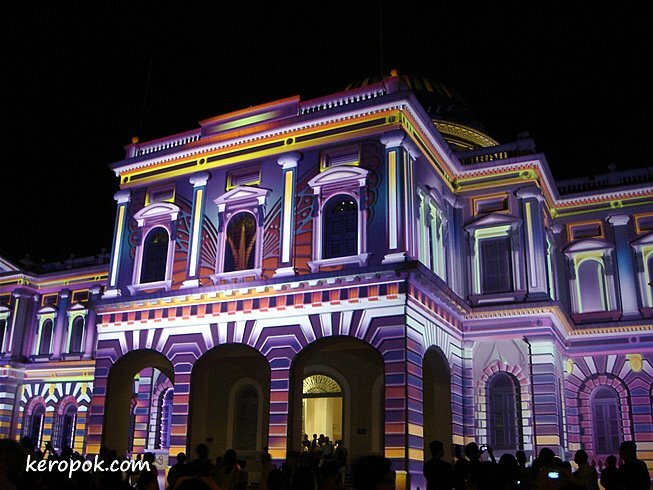 Part of the Singapore Night Festival, the National Museum put on 'skins'. 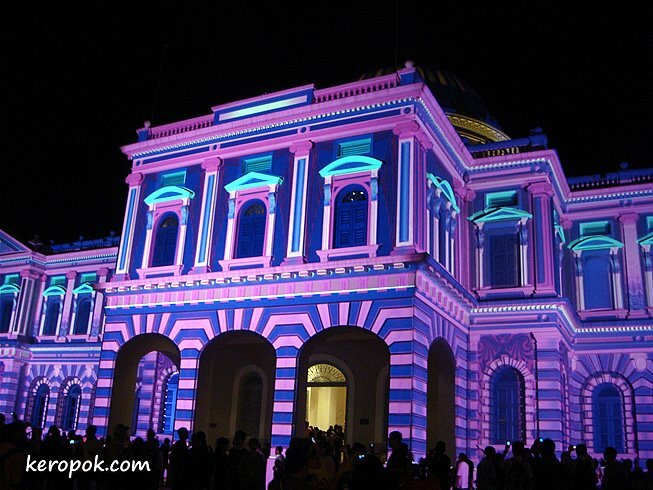 Wonder how the National Museum looks like normally? Click here. 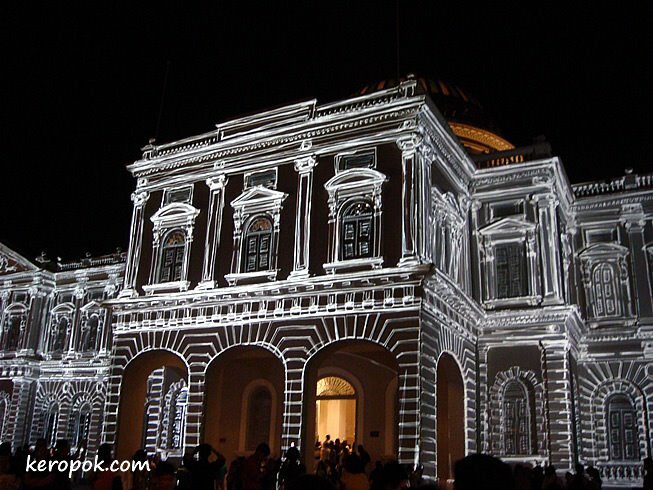 Light installation by The Electric Canvas. From 7.30 PM - 11.00 PM. 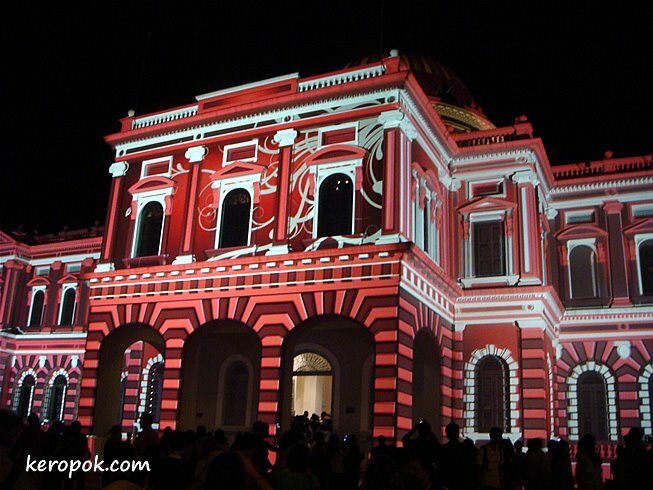 Until 3 August 2008. Showing you 9 of the 'skins' over 3 days. 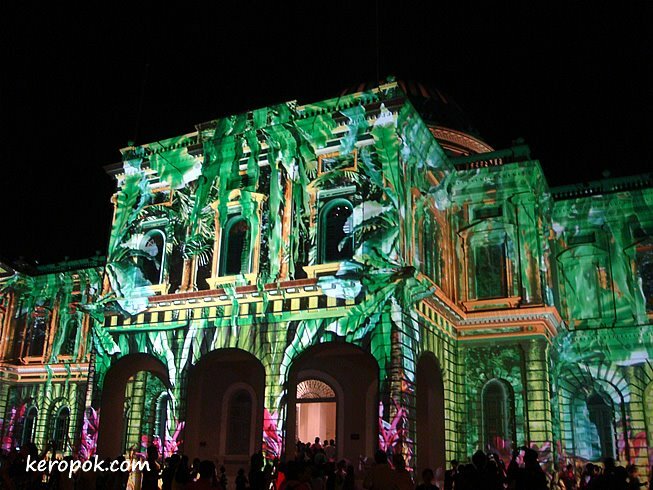 You should get down to the National Museum and Singapore Art Museum to see the real thing and be absolutely be in awe. 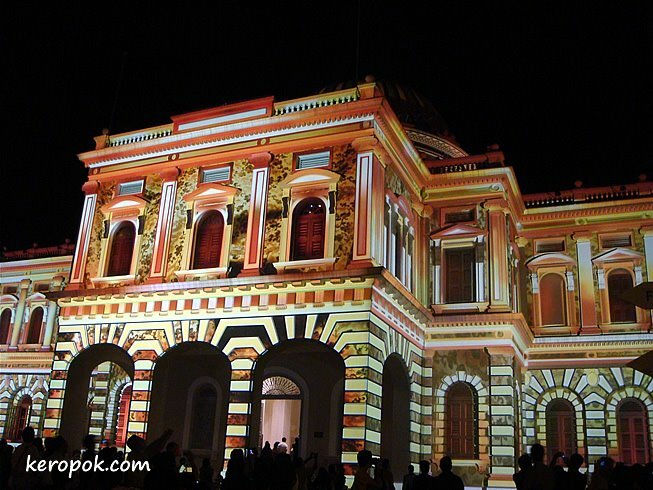 This is one of the many big holes you can find in Singapore now. 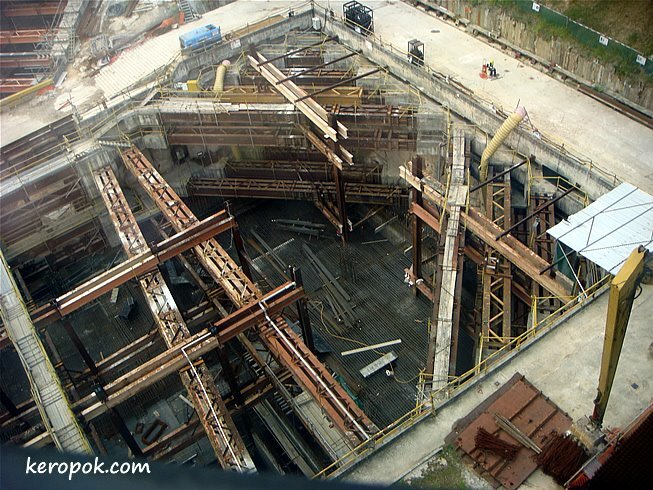 The on-going construction of the "Circle Line" mass rapid transit. I would like to congratulate one colleague who just given birth yesterday. We visited her today at the hospital. Mother and baby's well and the baby is so cute. Is it what I think it is? Escalators that's open air and faces the street. 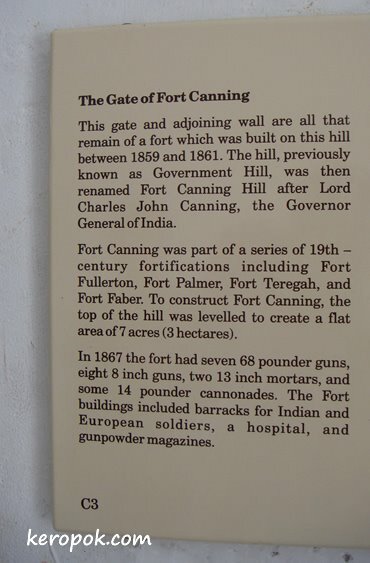 The Gate of Fort Canning. I was standing at the traffic junction. 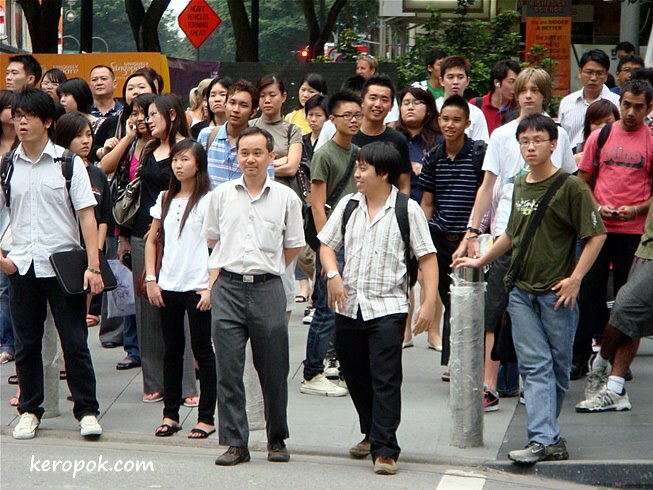 Took out my camera to snap the people opposite. Hmm.. just look at how many eyes are staring at me? Yikes! It is as if I have incur their wrath! Saw this banner on building. Wondered what it was and decided to find out. 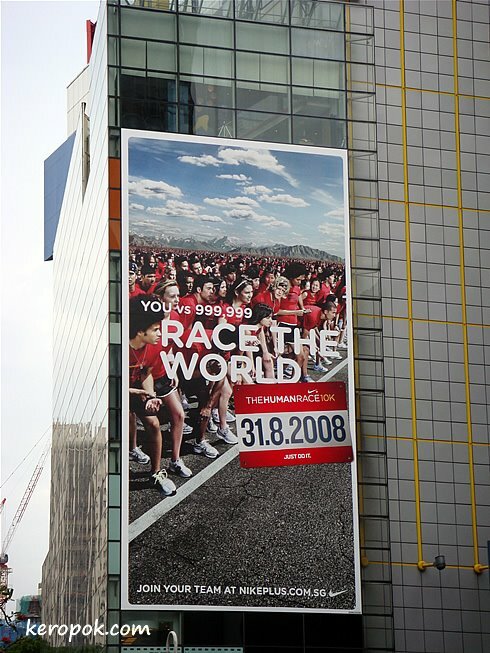 How interesting.. 1 Day, 1 Million Runners, 25 Cities, 25 Top Musical Acts. Anyone going for this run? 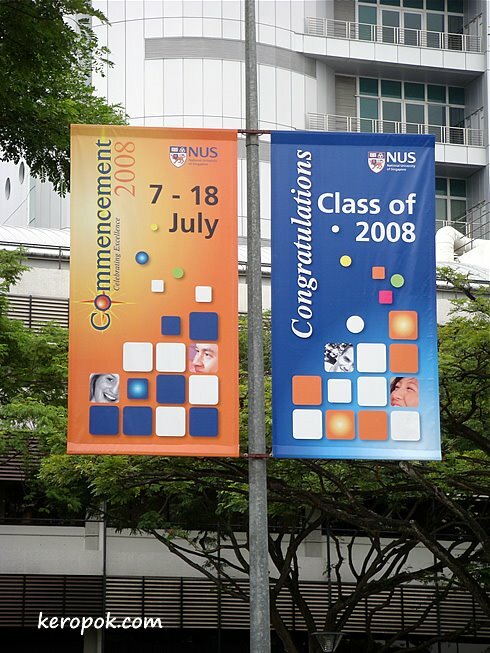 Banners along main streets in Singapore. 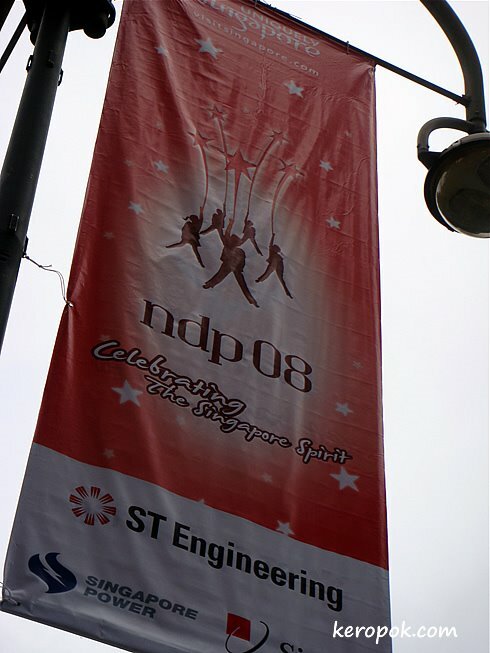 NDP08. 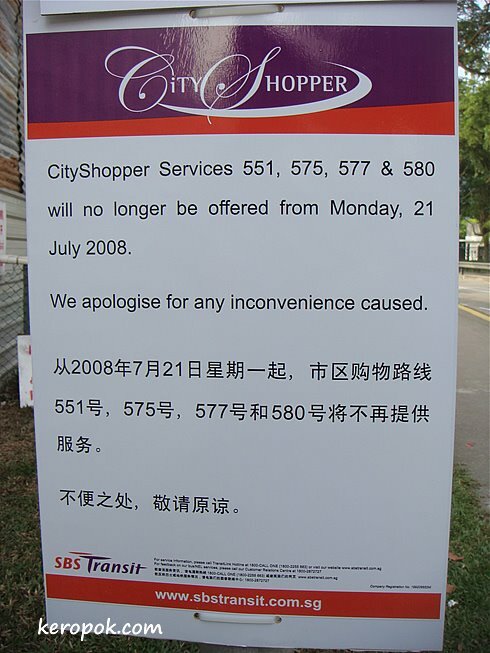 One of the City Shopper bus service passes our home. Whenever sis and I take this service, there's never been more than 5 people in the bus. We have always wondered how long it will survive. Yesterday we saw this message posted. Seen on the back street or a restaurant. 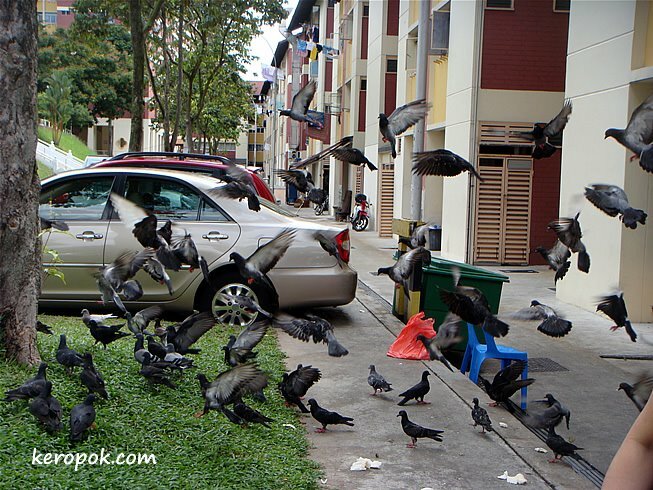 The restaurant owner has been feeding the birds. 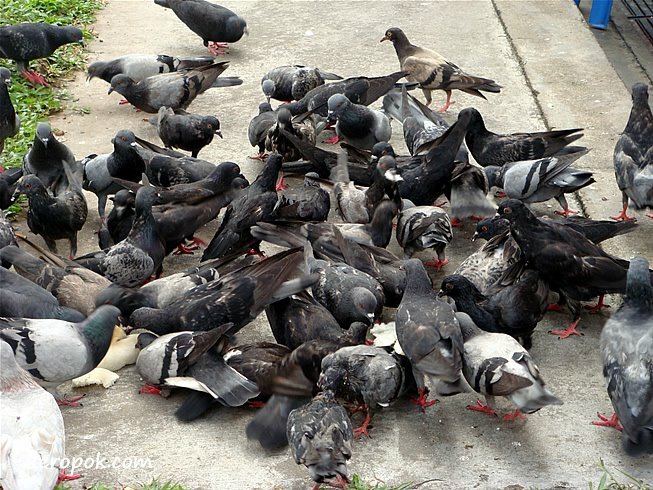 Do you think the birds should be fed? 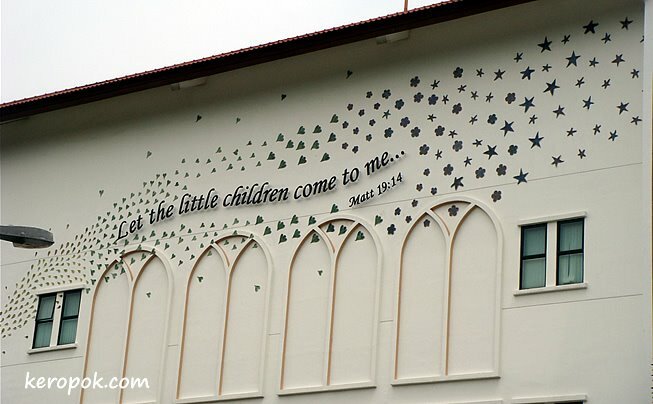 The design on the wall catches your eye? Doesn't it look like little birds or butterflies? 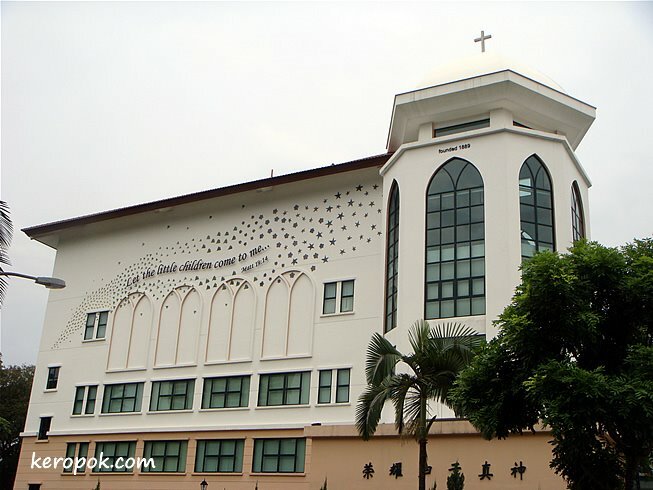 This is Pei Hwa Presbyterian Primary School. I think the design looks good on its white wall. These pictures are more than 1 week old. But I thought it was interesting. 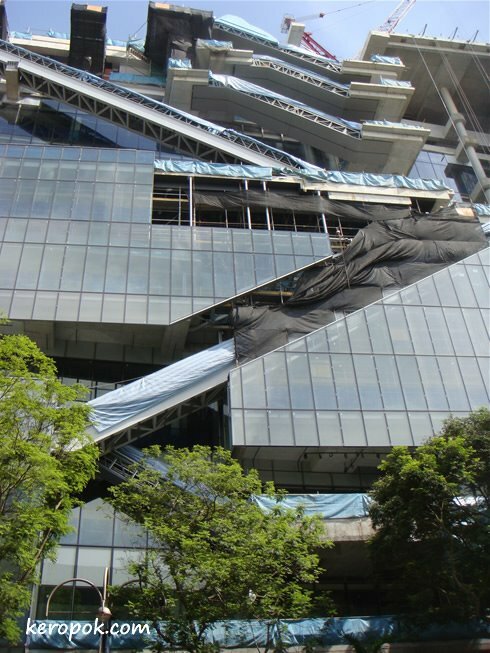 Everyone seems to be peeping inside this big box along Orchard Road. It was the advertisement for the newly relaunched Magnum ice cream. 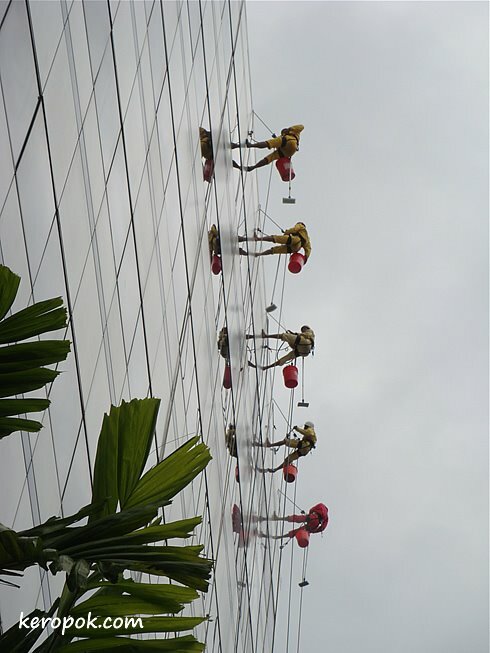 Seen on 3 Orchard Road. 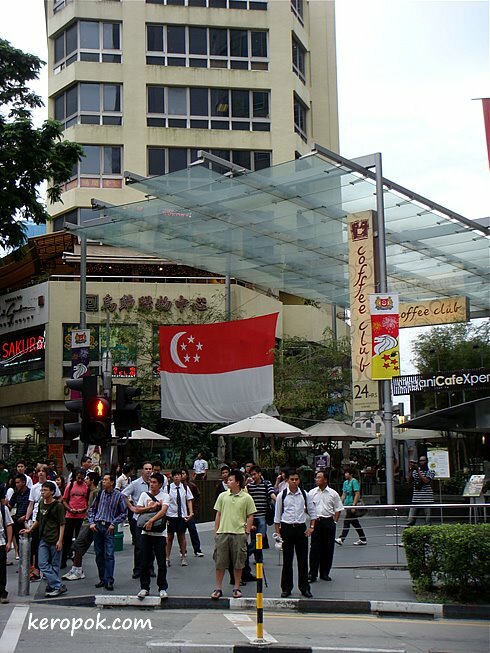 For the rest of Orchard Road, GSS stands for the Great Singapore Sale. 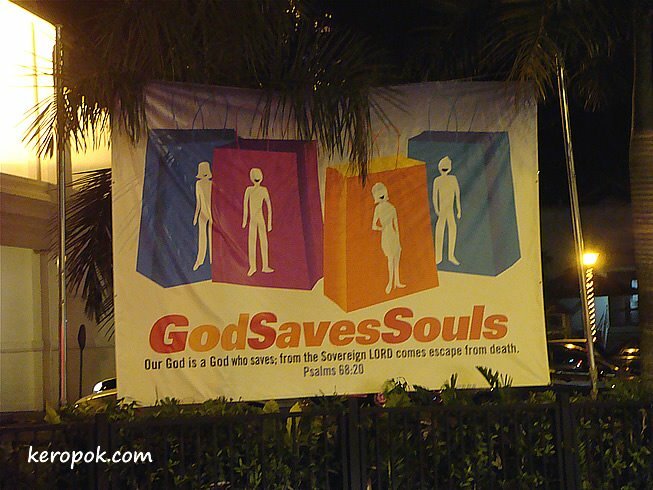 But for 3 Orchard Road, GSS means God Saves Souls. Yesterday was Youth Sunday. The Youth at our church had a 'display' of several typical youths nowadays. Are you what this sign says? I am not sure of the answer, but this sign in a certain park in Singapore seems to suggest that. As far as i know, monkeys usually eat bananas, some fruits and nuts. Not sure about bread though. 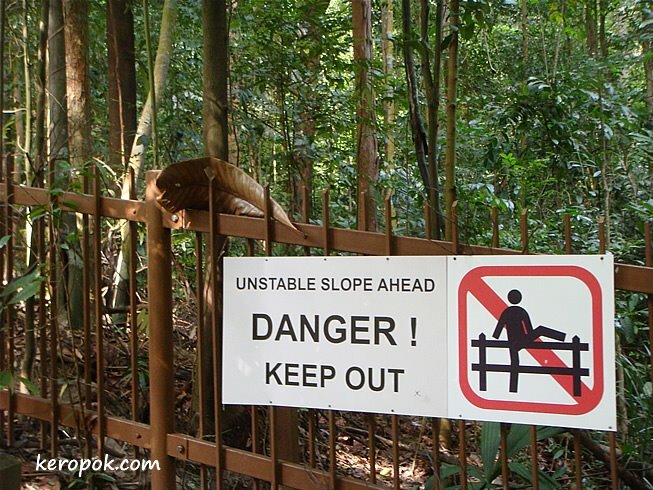 If you venture into most parks or reservoirs in Singapore, you would see a sign like this. 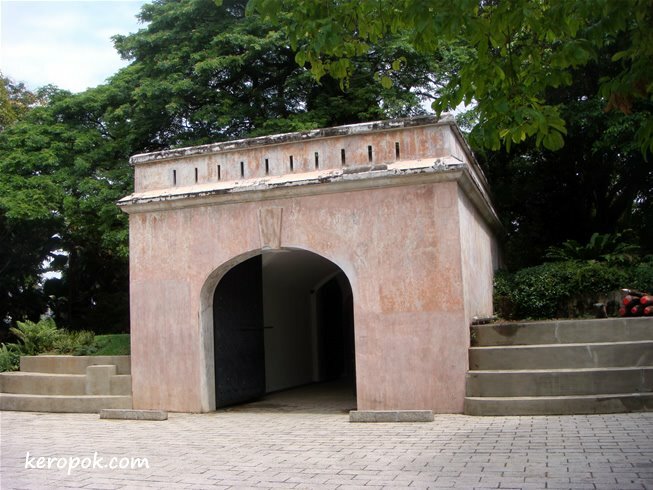 If you are caught feeding the monkeys, a fine of $500 will be imposed. Last night, Momo and I went to the rooftop of YMCA Orchard Rd to an event called "A Night Under the Stars with Agapella". I got the invite through Facebook. A friend who is part of the group sent the invite. They are a very talented bunch of people who are using their voice to spread the Good News. 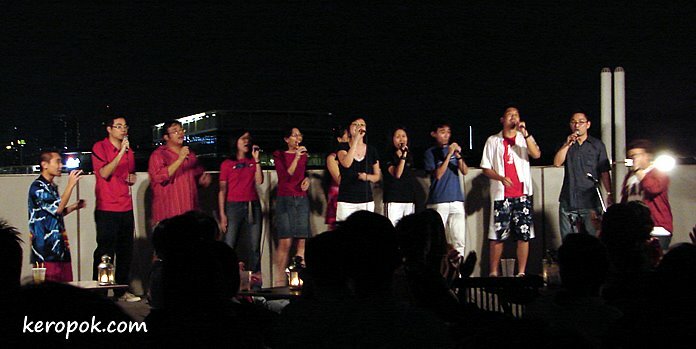 They are also Singapore's largest acapella group. Want to hear how they sound? This is a youtube clip that they put up, it's them doing a rendition of Canon in D.
I was laughing at this vending machine when i saw it. 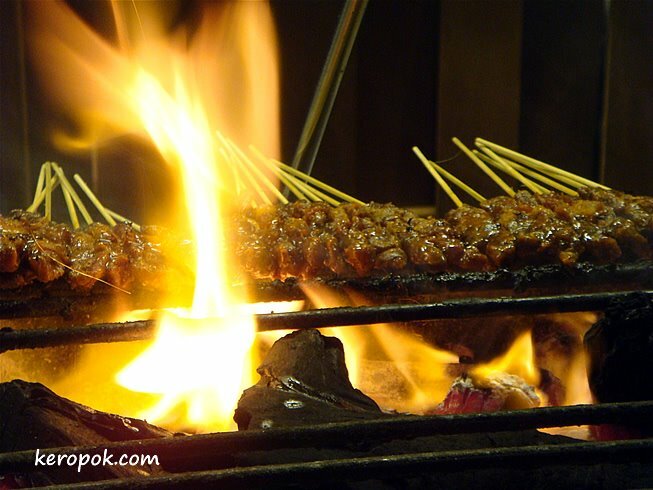 First it was grilled up like anyone would have the strength to carry it away. Then i saw the top, it has a shelter over it! This vending machine as spotted at a park in the west. Does your city have vending machines in the park? It's the City Daily Photo Theme Day again. The theme this month is "No" sign. This sign has no "No" word on it, but looking at the sign, you know what it tells you to do. Signs can tell so much, even for people who cannot read. 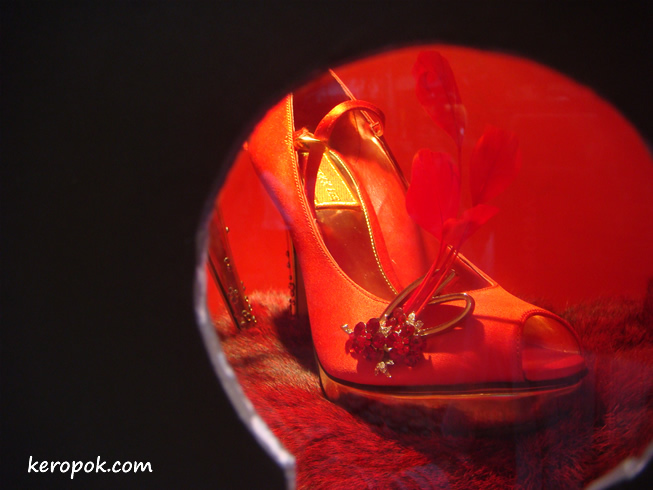 Join the rest of my fellow Daily Photo bloggers around the world. 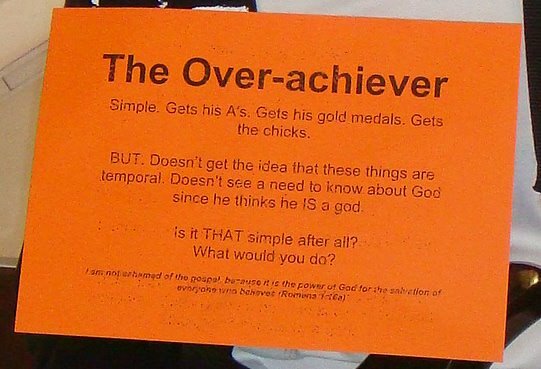 Check out how they interpret the theme. 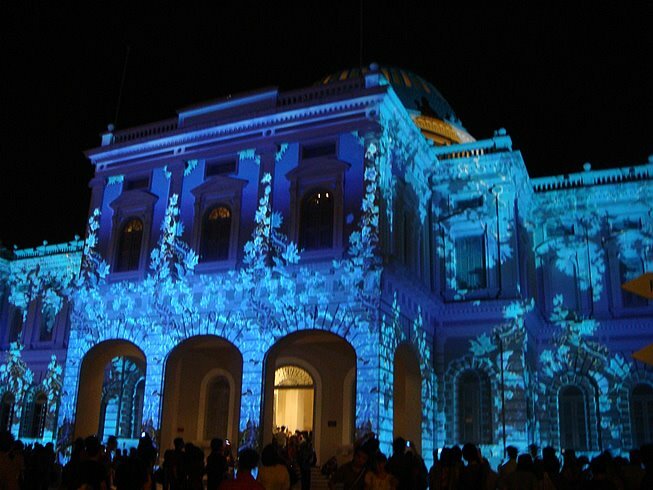 Photos might display at different time of the day depending on their time zone.